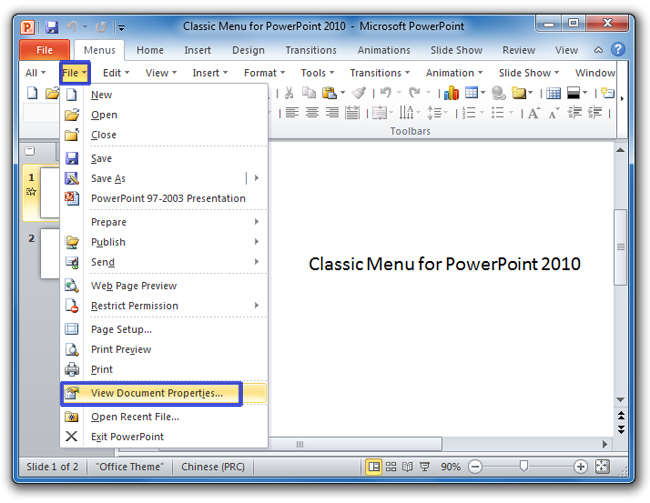 Classic Menu for Office is designed to bring back classic style menus and toolbar. 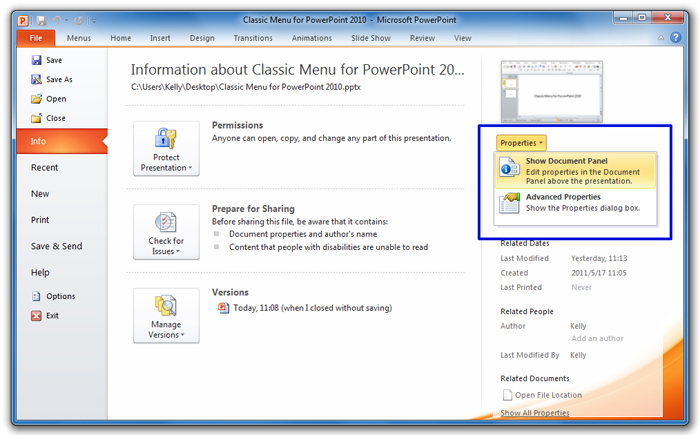 With classic menus, you can take the same steps to get features in Microsoft PowerPoint 2007/2010/2013/2016/2019 as those you did in Microsoft PowerPoint 2003. 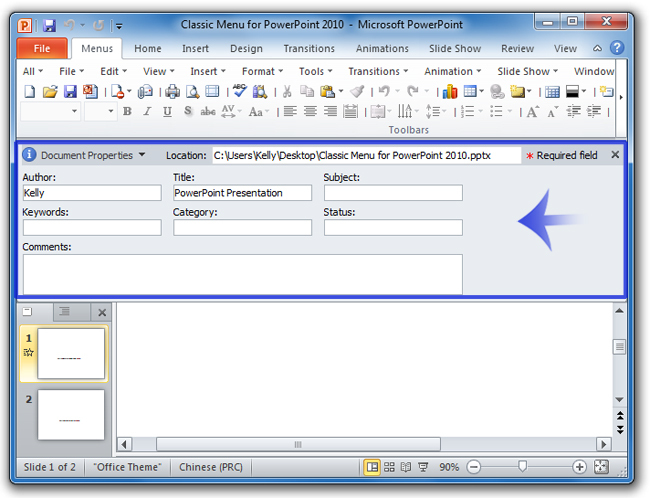 After these clicks, you will view Document Properties Pane above workplace. 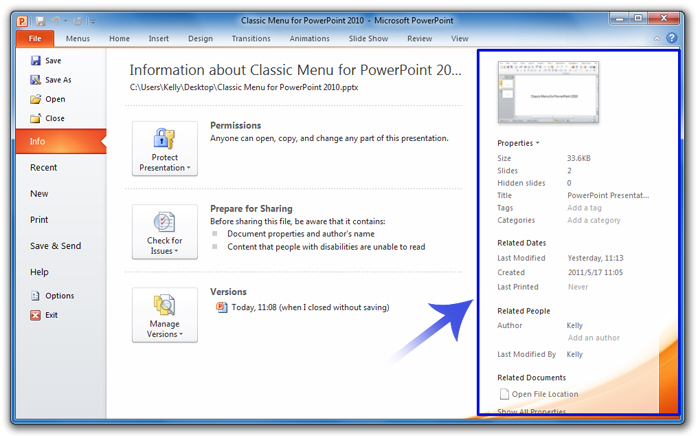 Click the View Document Properties… item. After these two clicks, the Properties dialog box will pop up. 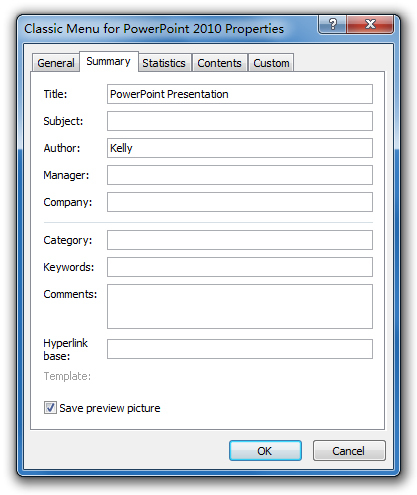 And in this dialog box, you can view and change your presentation properties. 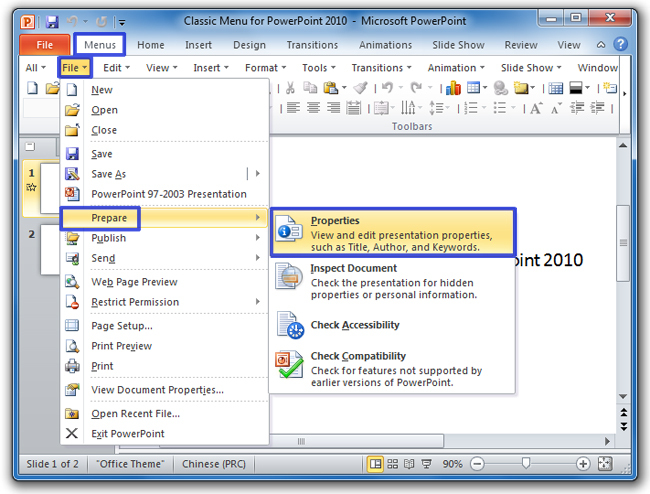 At right side, you will view your presentation properties. If you want to view document properties in Document Properties pane as we described above, you can continue clicking the Properties button and select the Show Document Pane item after you have viewed properties in backstage view. Then you will get the pane as figure 2 shows. After you have view properties in backstage view, you can continue to clicking the Properties button and select the Advanced Properties item, and you will view the properties in Properties Dialog Box as figure 4 shows. Go on to click the Properties item.